For a 3 star restaurant, the food of Le Bernardin is not complicated. It relies on pristine fish and relatively simple preparation with few grand embellishments. Reading through Eric Ripert’s book On The Line about the NY city restaurant is a fantastic look into how a high caliber restaurant is run. The book deals with everything like history, menu creation, service standards, a typical day in the life of Le Bernardin and how fish is bought and butchered. I find this kinds of stuff fascinating. That was the first half of the book. The second deals with several recipes. Most of them do not have a crazy long list of ingredients but each one, as deceptively simple as it might look, might have taken months from inception through several stages of refinement to finally making it on the menu. The end results are models of elegance, clean plating, classic techniques and clear flavors. 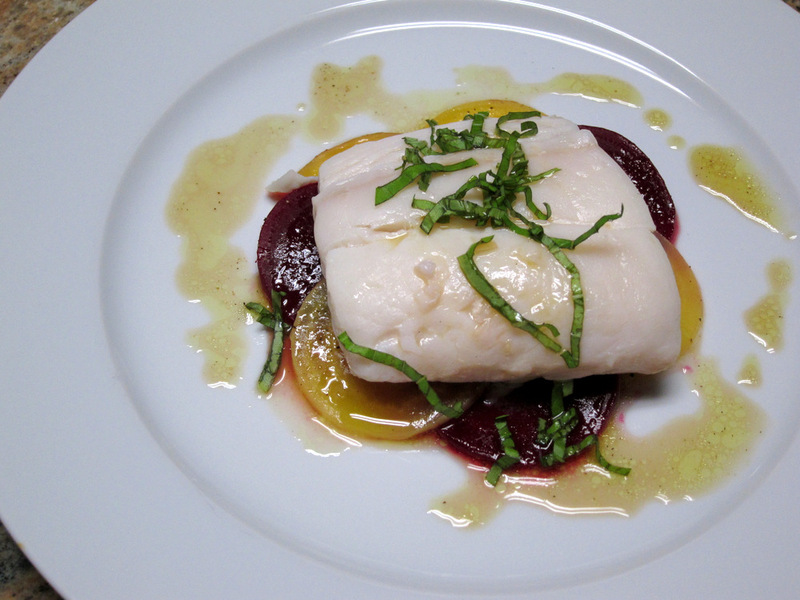 This dish has two main ingredients, the fish and the beets. They come together with a drizzle of citrus sauce that is a bit Japanese in its flavor. Looks and sounds very simple but it does involve a few steps. First I made the Citrus-Coriander Oil that forms the base of the sauce down the line and also seasons the cooked beets. It’s made from a mixture of lemon and orange zests, chopped tomato, fennel and coriander seeds, basil, cilantro, olive oil and lemon oil. The mixture is allowed to steep for at least 24 hours before straining and using. 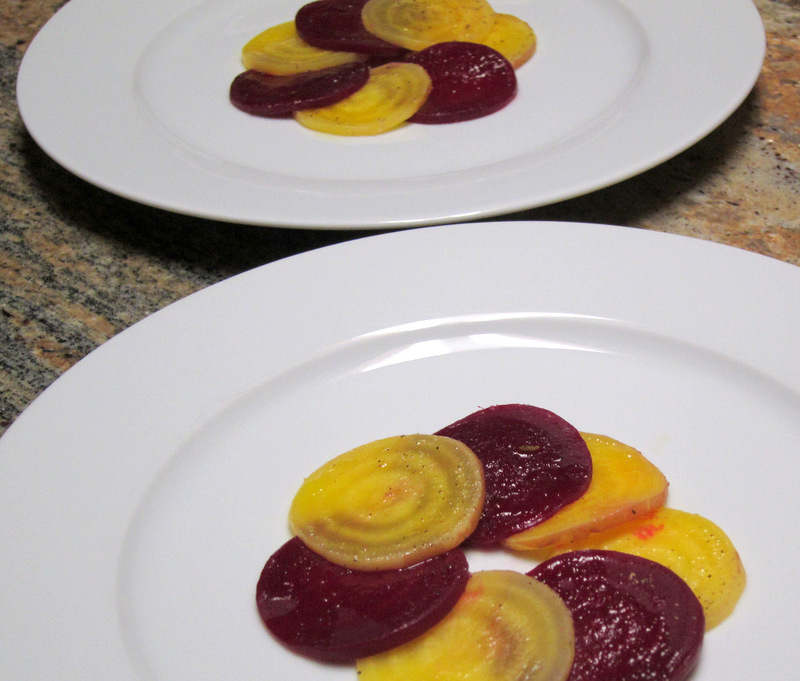 The beets, golden and red, are cooked seperately in sherry and red wine vinegars and water until tender. I actually bagged them and cooked them sous vide instead. They are then pealed sliced on a mandolin and, using a round cookie cutter, trimmed to neat rounds. 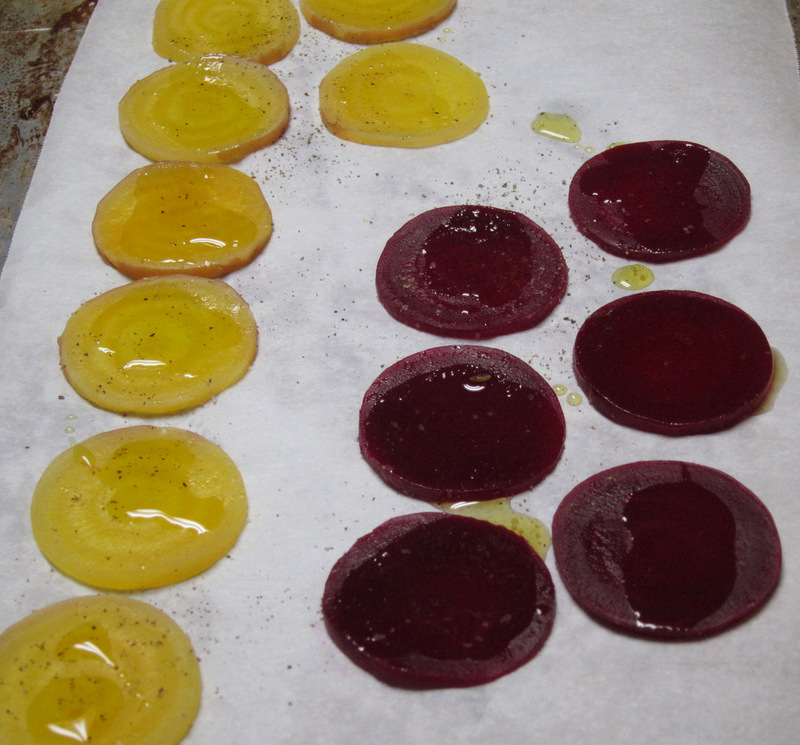 Before serving, the beets are laid on a parchment lined baking sheet, seasoned with salt and pepper, drizzled with the citrus-coriander oil and warmed in a hot oven for a few minutes. To make the sauce for the dish, the emulsion, I heated up a mixture of orange juice, shallots , lemon juice and ponzu (a Japanese sauce of citrus and soy sauce) till simmering. Then I whisked in the citrus-coriander oil. I kept this sauce warm while finishing the fish. 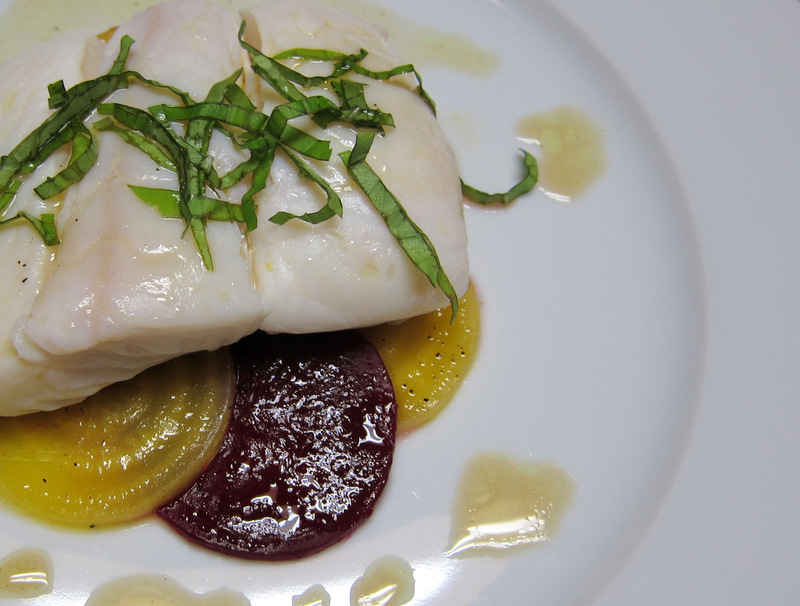 Chef Ripert poaches the fish in a liquid of water, citrus juice and vermouth thickened with a bit of roux. This is supposed to give the fish a wonderful velvety texture. 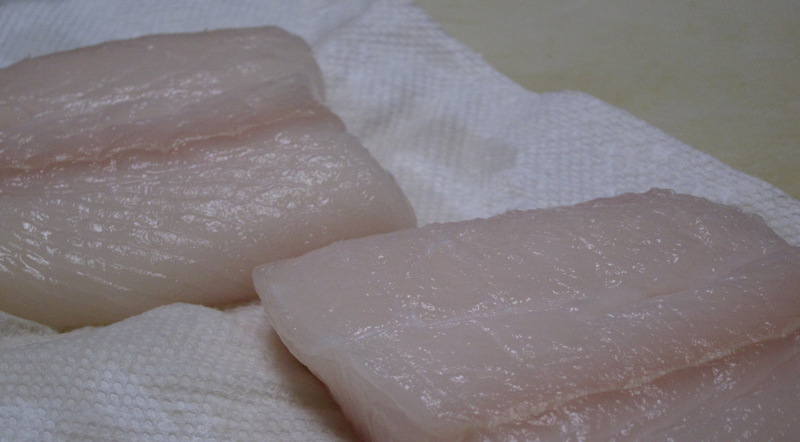 I was juggling a few things that evening and saw no reason not to cook the fish sous vide. So, I bagged the halibut with the same mixture (used less of it though) minus the roux and cooked it for about 20 minutes till perfectly done. 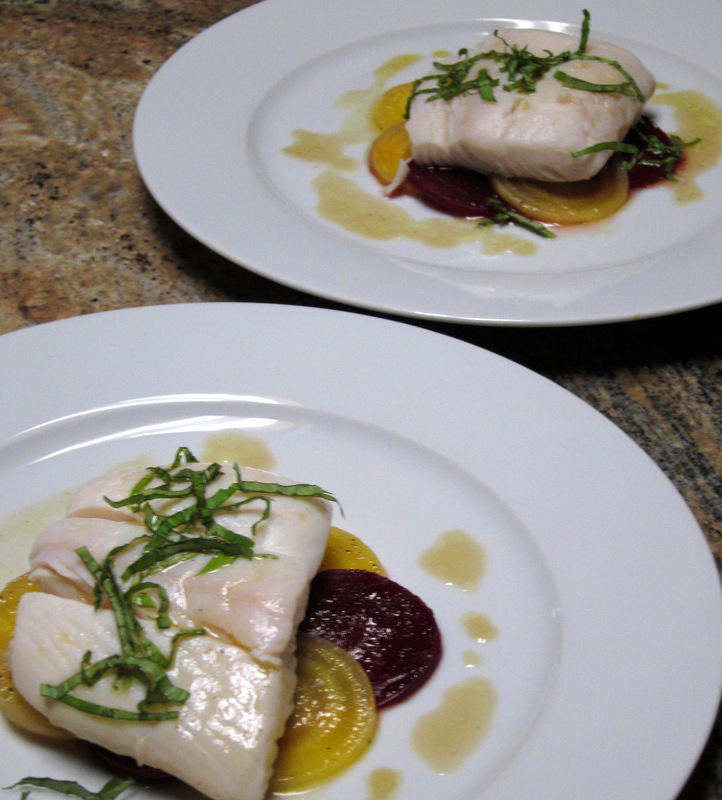 I patted the fish dry and plated the fillets on top of the beet rounds. I sauced with the emulsion and garnished the fish with a julienne of basil. Thanks Stefan. Looking forward to checking out your blog some more.